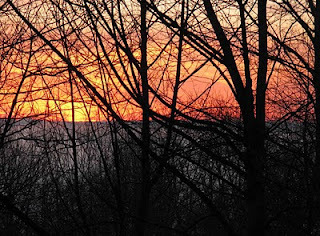 Easy to see a sunrise before the trees leaf out . . .
And, honestly, this just seems to happen. 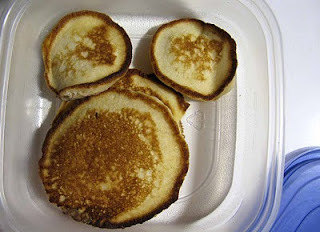 and found leftover pancakes . . .